Regenerative medicine may offer new methods to banish baldness that don't involve toupees. 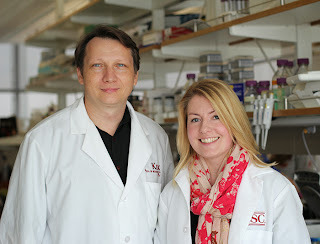 The lab of USC scientist Krzysztof Kobielak, MD, PhD has published three papers that describe some of the factors that determine when hair grows, stops growing and falls out. Authored by Kobielak, postdoctoral fellow Eve Kandyba, PhD, and their colleagues, the three studies focus on stem cells located in hair follicles (hfSCs), which can regenerate hair follicles as well as skin. These hfSCs are governed by the signaling pathways BMP and Wnt -- which are groups of molecules that work together to control cell functions, including the cycles of hair growth. The most recent study, focuses on how the gene Wnt7b activates hair growth. Without Wnt7b, hair is much shorter. The Kobielak lab first proposed Wnt7b's role in a January 2013 PNAS publication. The paper identified a complex network of genes -- including the Wnt and BMP signaling pathways -- controlling the cycles of hair growth. Reduced BMP signaling and increased Wnt signaling activate hair growth. The inverse -- increased BMP signaling and decreased Wnt signaling -- keeps the hfSCs in a resting state. Both papers earned the recommendation of the Faculty of 1000, which rates top articles by leading experts in biology and medicine. A third paper published in Stem Cells in September 2013 further clarified the workings of the BMP signaling pathway by examining the function of two key proteins, called Smad1 and Smad5. These proteins transmit the signals necessary for regulating hair stem cells during new growth. "Collectively, these new discoveries advance basic science and, more importantly, might translate into novel therapeutics for various human diseases. 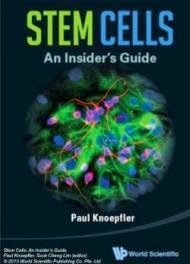 Since BMP signaling has a key regulatory role in maintaining the stability of different types of adult stem cell populations, the implication for future therapies might be potentially much broader than baldness -- and could include skin regeneration for burn patients and skin cancer." said Kobielak. Funding for all three studies came from the Donald E. and Delia B. Baxter Foundation Award and National Institute of Arthritis and Musculoskeletal and Skin Diseases of the National Institutes of Health (grants R01-AR061552 and R03-AR061028). Kandyba, the first author for all three papers, was a fellow of the California Institute for Regenerative Medicine (CIRM) – Research Training Program II in Stem Cell Biology.